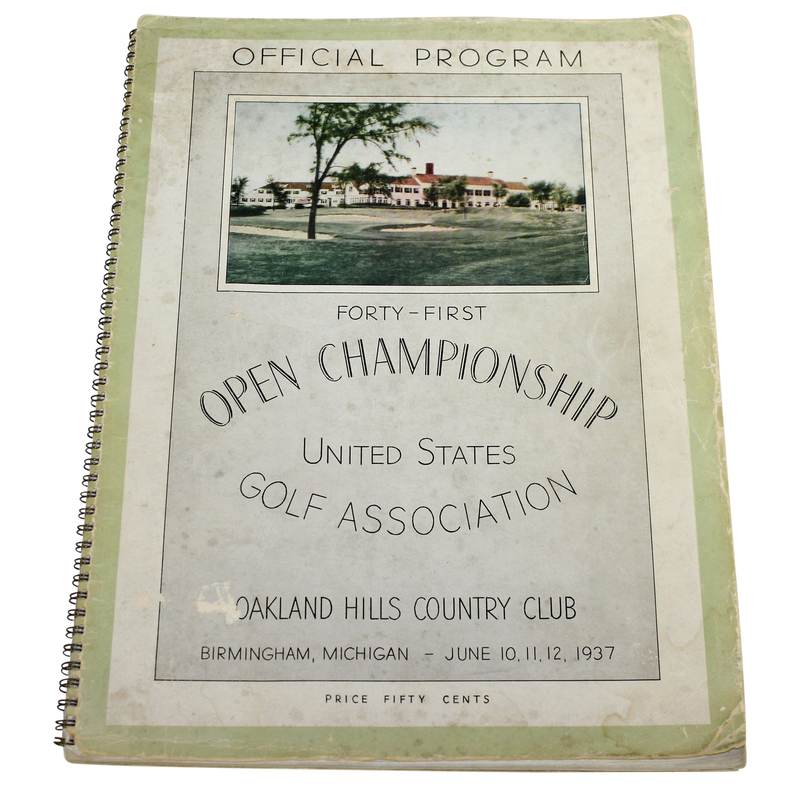 Here we have a program from the 1937 US Open at Oakland Hills. 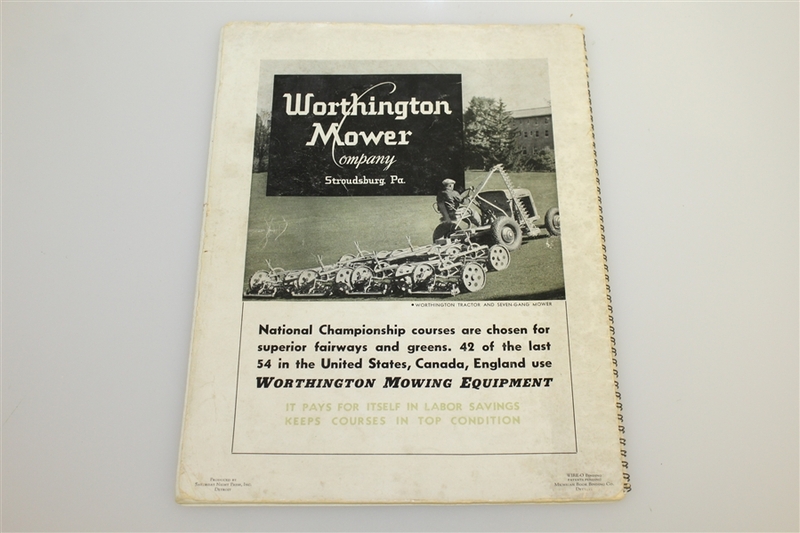 Pre World War II paper is always challenging to program collectors in any sport. For the collectors of United States Open Championship programs this difficulty is heightened in 1930's material with far smaller crowds of the day leading to much shorter print runs in the economically challenged Depression Era. 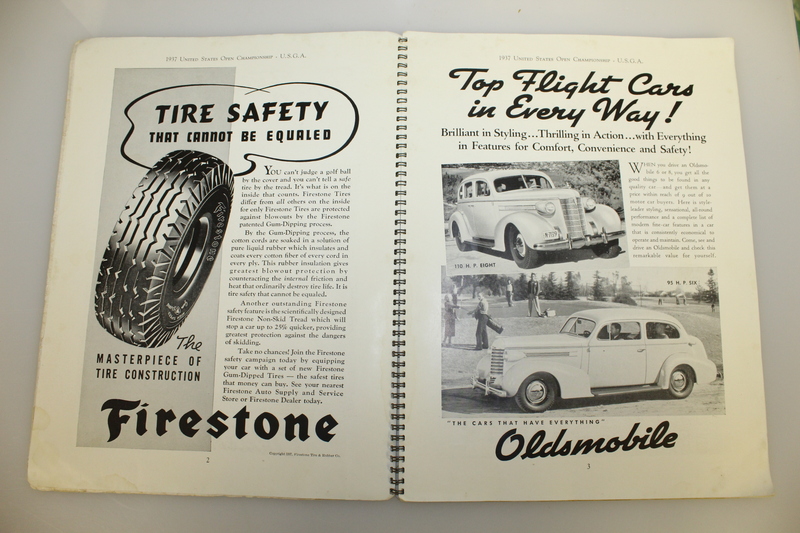 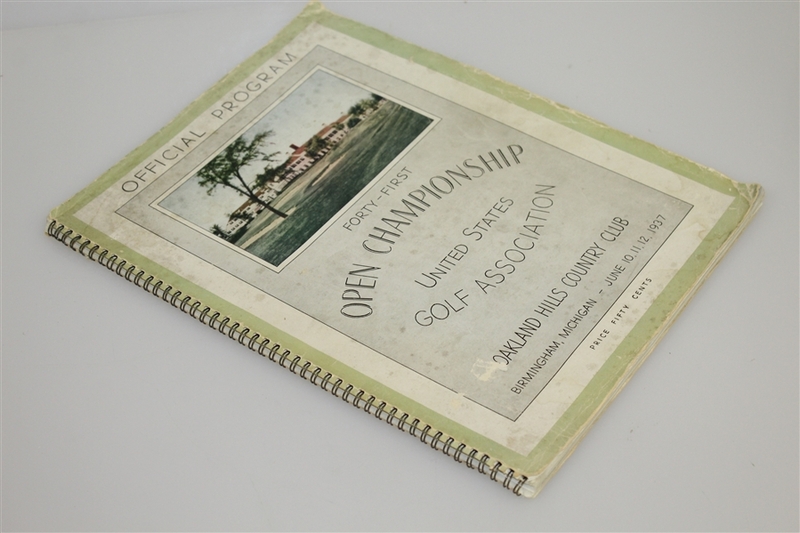 Also lending to the extreme difficulty of finding this material in any condition is the obvious fact that patrons purchasing the program were often required to carry it over 18 holes through whatever weather condition might have existed be it rain or extreme June heat. 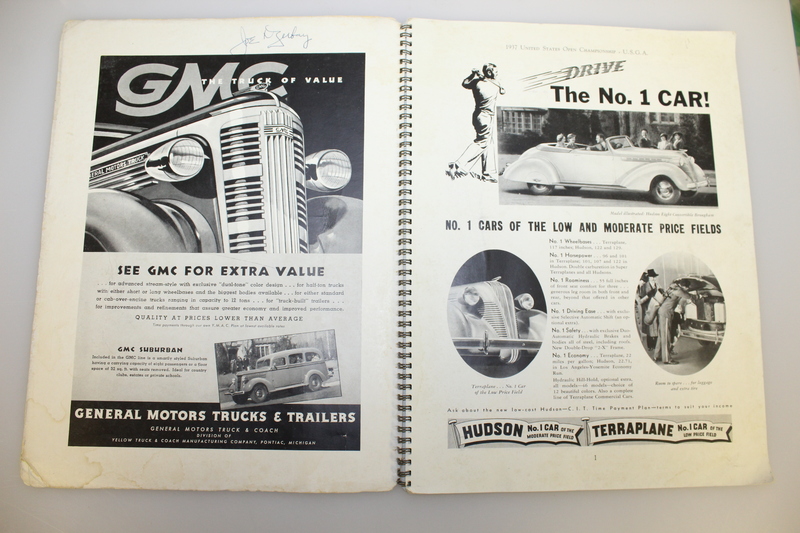 With this all stated, The Golf Auction is pleased to offer for the second time a 1937 program which has survived almost eighty years after it's pressing. 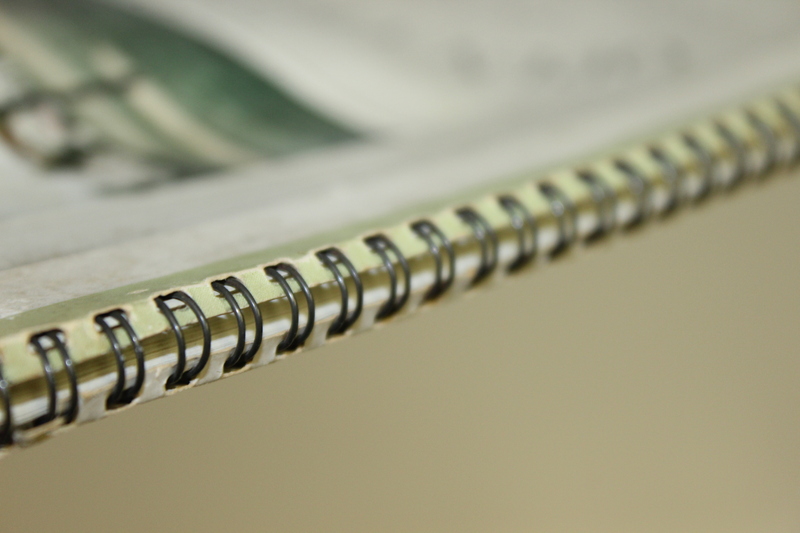 The spiral bound publication would rate only in a condition that approaches good. 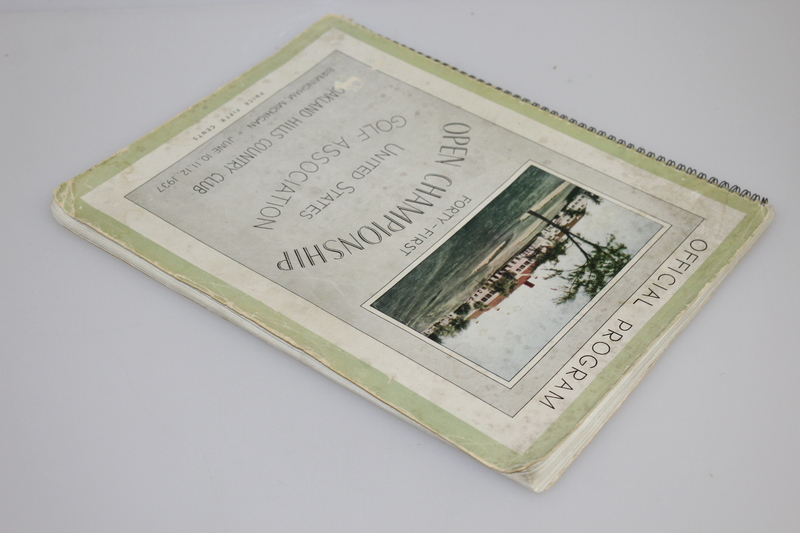 Detracting flaws as seen in photos include some foxing is evident as well as corner creases, though the spiral spine remains in excellent condition. 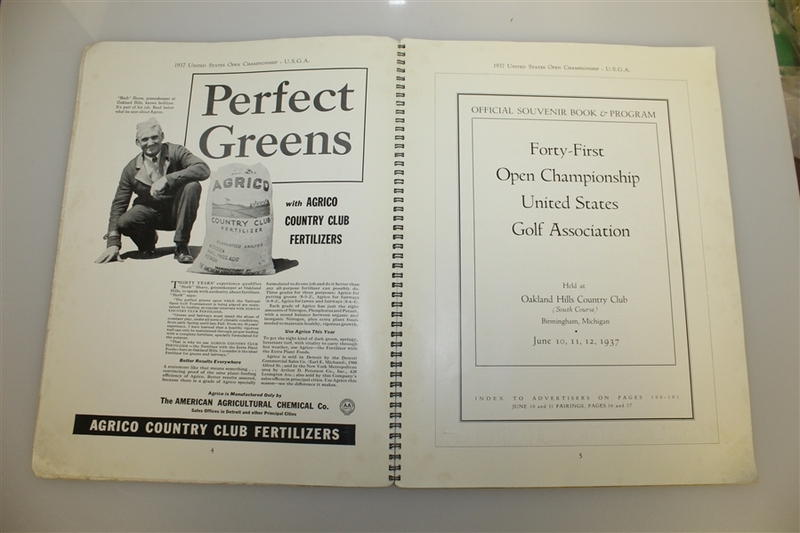 The US Open that year featured the start of an impressive run by Hall of Famer Ralph Gudahl which would see the Texan win the '37 US Open, defend his title with a win at the '38 US Open and post a third Major win over a three year period when he won the 1939 Masters. 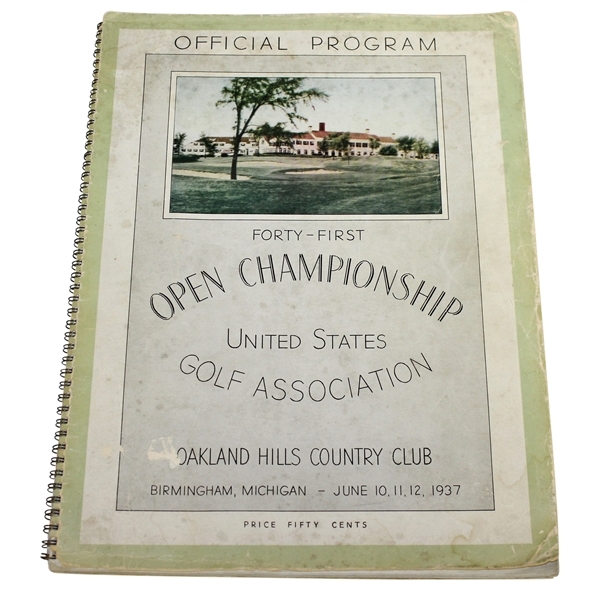 A memorable champion, with a win at the famous for it's difficulty Oakland Hills course make this program an easy item to bid on in this auction.